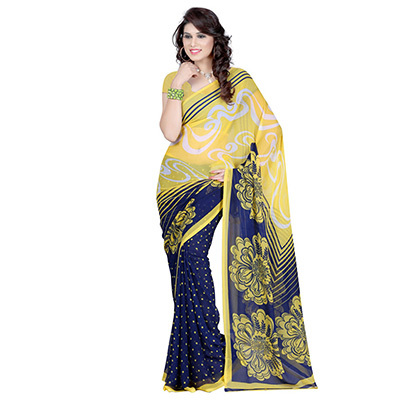 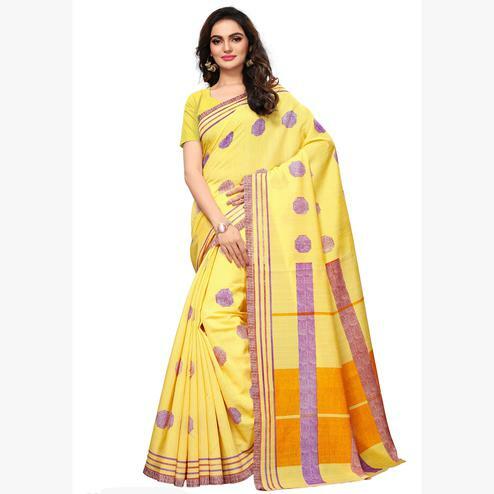 Be an angel and create and set up a smashing effect on every person by carrying this yellow - blue saree. 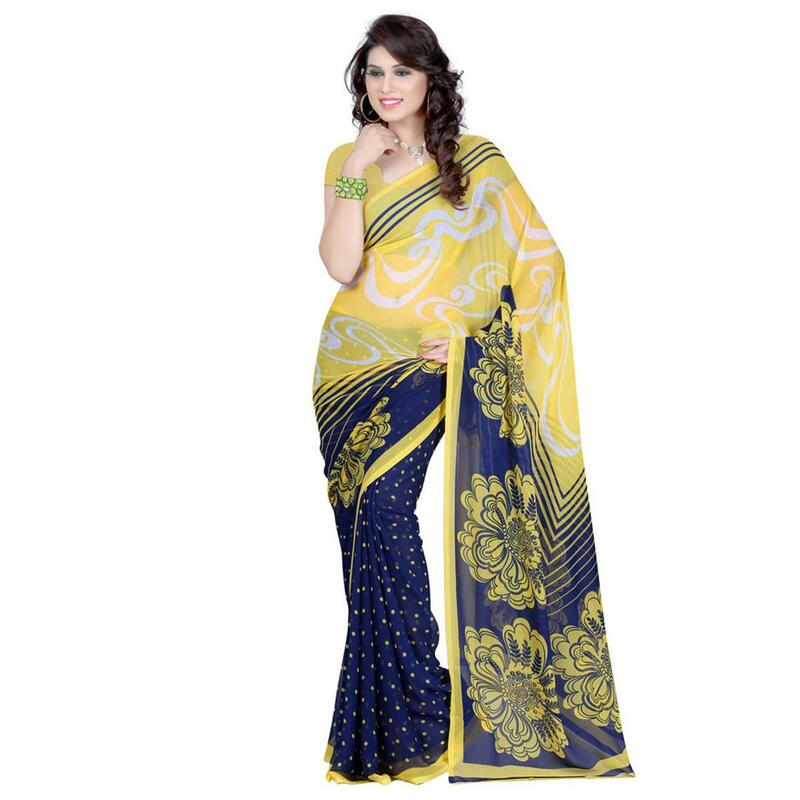 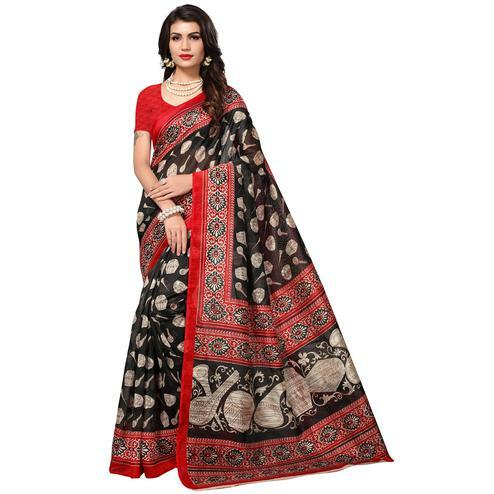 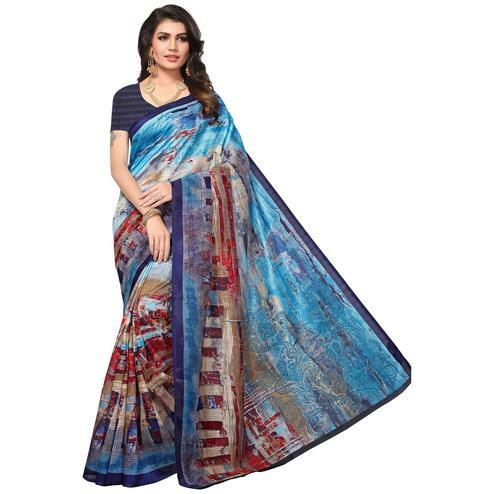 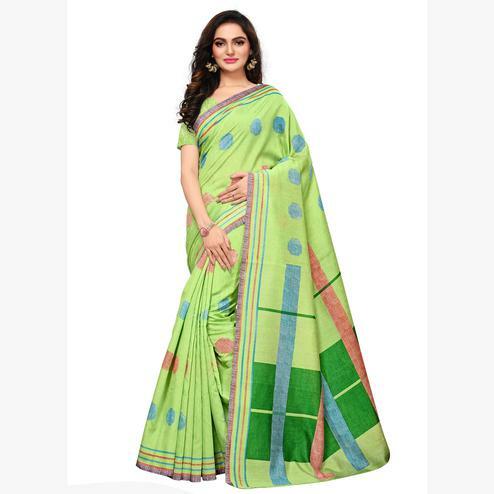 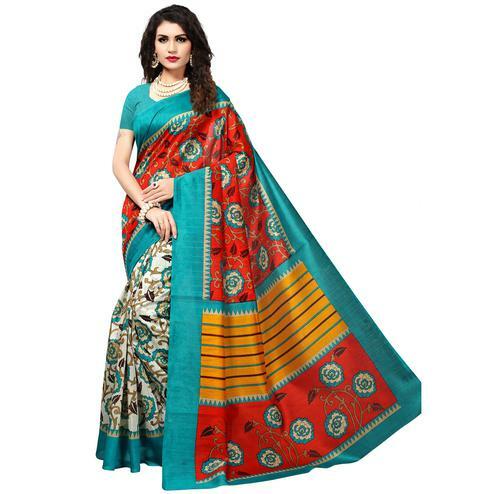 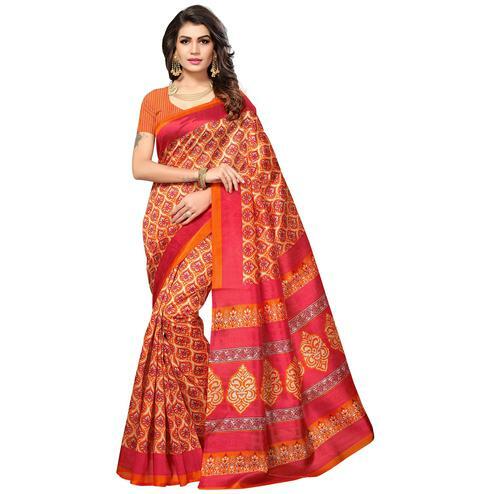 This saree look is enhance with various pattern print work done over the georgette fabric. 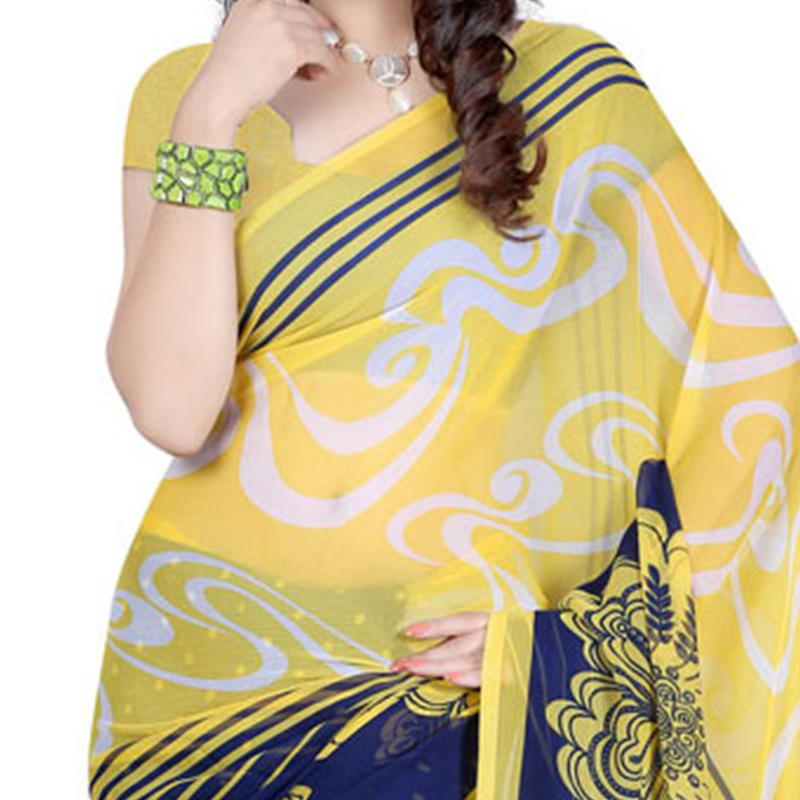 It's a perfect outfit for casual & office wear. 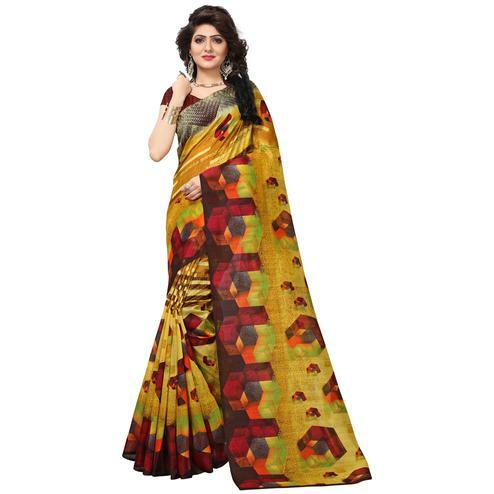 Comes with a matching blouse piece.